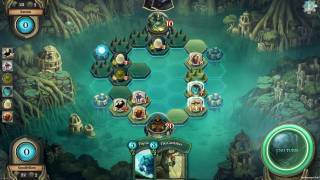 Abrakam has released a final major Early Access update for Faeria, the strategy card game with a living board. 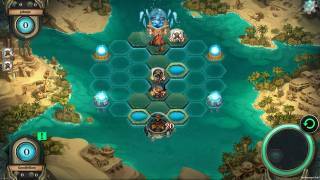 This comes after months of successfully tweaking and perfecting the incredibly popular world of Faeria in Early Access. This substantial update paves the way for the final months leading up to the game’s release as version 1.0 with even more features and improvements to be added at that point. Version 0.9 introduces a slew of fan requested changes and improvements to social features, game content and more. One of the most overwhelmingly popular aspects of Faeria’s new single player content has been the selection of mind-bending puzzles and this is being expanded with 15 new challenges. Alongside this, the single player experience is being expanded further with the ability to replay completed puzzles and quests at the player’s leisure. Further social features will be added including emotes that allow players to communicate with their opponents. These emotes will change based on the selected character. Building on the introduction of private lobbies earlier in the year, real time spectating of your friends matches is being added to the game and will be accessible simply by selecting anyone in a match on your friends list. Player progression will also be reworked as a new “infinite” levelling system removes the current cap of level 30 with there now being no upper limit to the heights a player can reach. Added to this newly found freedom will be the reward offered for leveling up: players will be shown four cards not currently in their collection to choose from, and get to keep one. To help build experience and gain more rewards daily quests are also being tweaked with requirements for completion now being reduced across the board. Beyond this a whole host of improvements will also be introduced including a major overhaul of Pandora mode, tweaks to balancing, performance and in-game animations also being implemented. More information can be found here. This final major pre-release update sees Faeria enter an incredibly important phase of its life cycle with the next major update being version 1.0 when the game leaves Early Access. Please keep an eye out for further news announcing times of this activity soon. This entry was posted on Thursday, October 13th, 2016 at 10:24 am and is filed under MMO News. You can follow any responses to this entry through the RSS 2.0 feed. Puedes dejar una respuesta, o un trackback desde tu sitio web.